Great income property. You'll want to see this very nice duplex apartment house--live in one unit and let the other pay your mortgage. It's located in a quiet Silver Creek neighborhood and features newer windows and 30 year roof; 2-bedroom/1-bath unit rents for $575/mo. 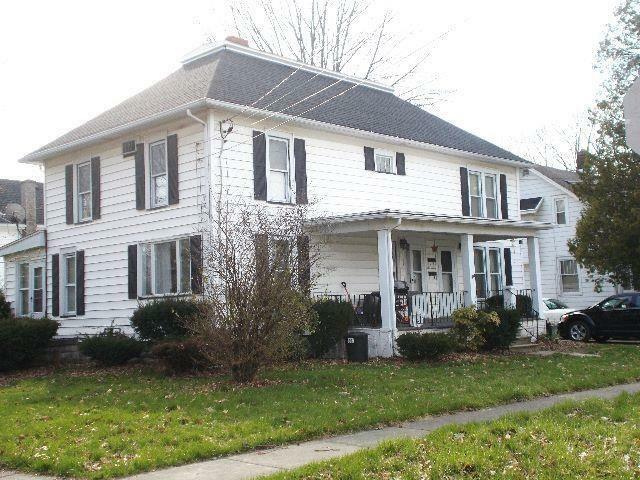 plus gas, electric & sewer; 3-bedroom/1.5-bath unit rents for $650/mo. plus gas, electric & sewer; full basement, all new exterior doors, both units have newer 100 amp breaker boxes and newer hot water tanks. Stove and refrigerator stay in one unit, refrigerator only stays in the other unit. Unit 1 has walk-up attic with two large rooms that could be another bedroom, playroom or office. Call soon.